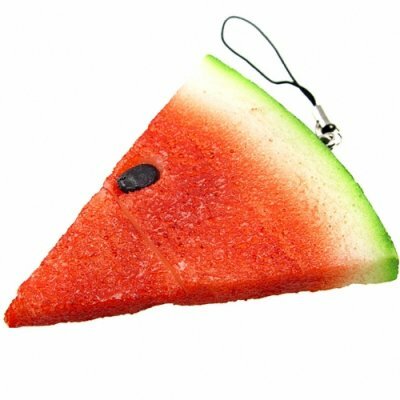 Successfully Added Watermelon USB Flash Drive 8GB - Food Shaped USB Storage to your Shopping Cart. Realistic looking watermelon containing 8GB of USB flash memory. If you want more than to just plug your old fashioned USB stock in, this novelty USB memory stick that is right up your alley. Just remove the tip to reveal the USB connection, and watch people gape at your one of a kind computer accessory. With all of the same functions and memory that you could ever get from your old USB pen drives but with a really geeky gadget factor, this is premium wholesale item your own computer or eBay store shouldn't be without. The Original Watermelon USB Flash Drive 8GB - Food Shaped USB Storage, as seen here first on Chinavasion! 8GB Of raw Melon Oops I mean Memory, And it really does look good enough to eat! So don't leave it around LOL!